We all know that it’s smart to stage your home when you’re preparing to sell it. What many people fail to think about when staging their home is first impressions. I’m talking about the impression someone has of your home before even stepping foot inside. That’s why it’s so important to make the entry to your house extra enticing. It’s one of the most important things you can do when it comes to home staging. That means you should take some time to dress up the exterior of your home — including your yard — and the front entry way, so prospective buyers will get excited to see inside before they even enter your home. #1. Make sure your house numbers are visible. The first thing a prospective buyer will (or will not) see is your house numbers. You don’t want your house to be hard to find or cause any extra anxiety trying to figure out which doorbell to ring. Make sure you have easy-to-read numbers on the front of your home. Then test it. Ask a friend to drive by and see if they can spot your house number easily. #3. Paint your font door. If your house won’t sell, trying painting your front door. The color of choice is bright red with a high gloss finish. Glossy black is a good second choice. #4. 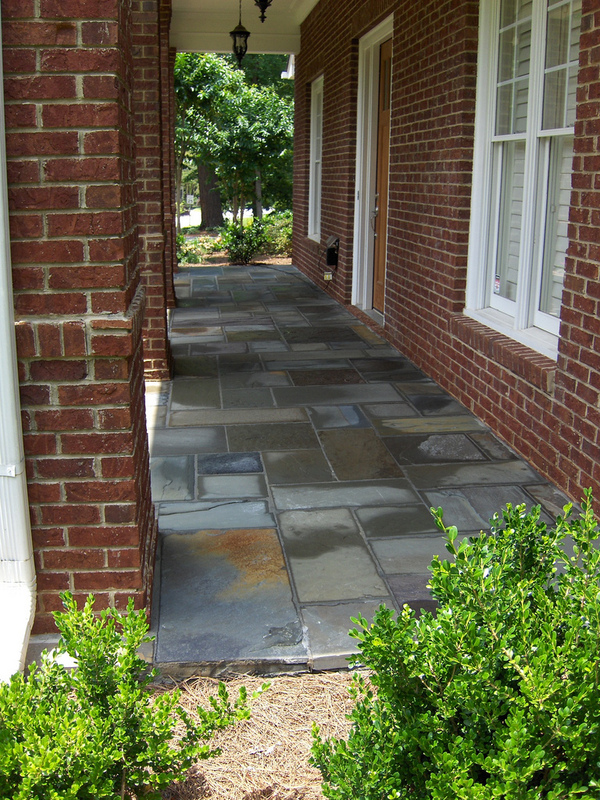 Get your walkway and porch in tip-top condition. #5. Remove all clutter from your foyer. To sum it up, you want to ensure that you will win the buyer’s heart before they ever step foot into your home. From the time the prospective buyer gets out of their car, walks toward your house, and rings the doorbell, you need to capture (and keep!) their interest in your home. So it’s imperative that you make these areas of the house as impressive as possible. Is Your Home Entry Saying What You Want It To Say?